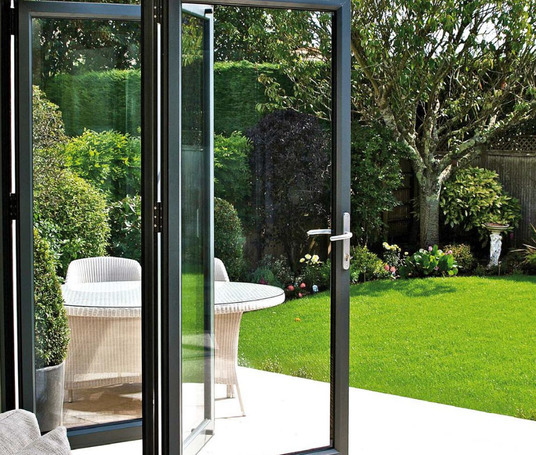 Flexible, secure and stylish, bi-fold doors are ideal for both residential and commercial properties. Featuring both a folding and sliding opening facility, bi-fold doors offer extra space and unrestricted access to and from the property. Designed for a range of applications, bi-fold doors are ideal for home extensions, conversions, room dividers and entrance doors. Bi-fold doors can be manufactured to specific size and style requirements.Leaf sizes can range from a minimum width of 500mm to a maximum width of 1200mm. 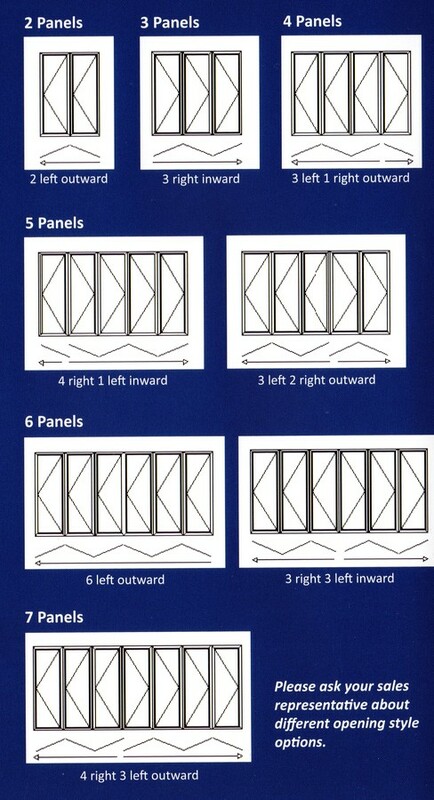 Select left, right or split stacked panes with the optionof one or two traffic doors. A range of threshold options are also available, including low threshold options designed for disabled access and suitable for interior use.